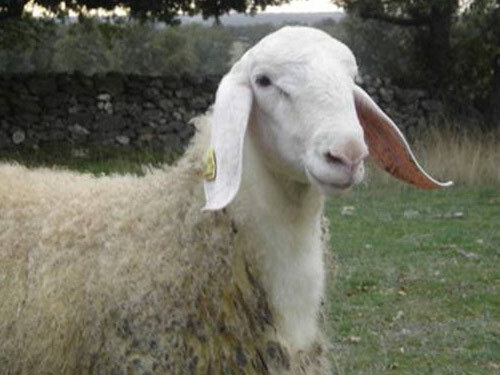 Assaf sheep are the result of crossbreeding between Awassi and East Friesian Milk sheep. In 1955, researchers of the Israeli Agricultural Research Organization (A.R.O) started this project aiming to improve the fecundity of the Awassi sheep. A combination of 3/8 East Friesian and 5/8 Awassi blood emerged as the best cross. Most dairy sheep breeders in Israel have adopted the Assaf, which is considered not only a top quality dairy sheep and excellent mutton producer, but is also well-adapted to semi-extensive to extensive production systems. Under Israeli conditions, in which ewes have approximately 3 lambings in 2 years, the annual milk yield is 450 liters. The demand for Assaf sheep is increasing every year. They have been exported to Spain, Portugal, Chile and Peru.